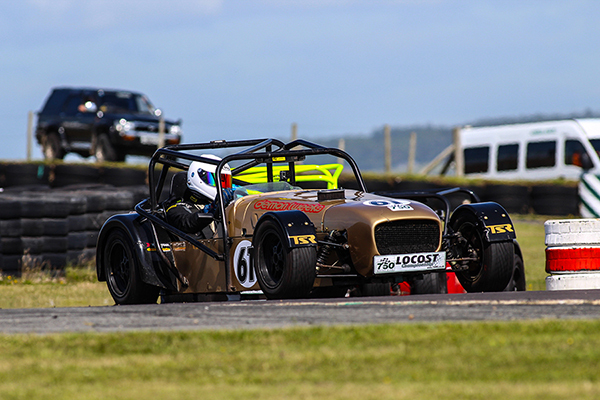 750 Motor Club racer Stuart Sellars has been announced as the winner of the 2015 John Miles Young Driver Award, following his achievements in the Locost formula over the course of the season. With eight out of 11 starts from the front row of the grid being converted to five race wins, Stuart finished 4th in the 2015 Locost Championship despite not contesting every round, an achievement that caught the eye of the Award patron and former F1 driver. The prize includes a generous £1000 cash prize from John himself, and the 750 Motor Club will match this amount in credit against race entry fees for 2016. As well as the main award, both Bill Cowley and two-time Stock Hatch champion Shayne Deegan will be honoured with a runner-up prize from the 750 Motor Club, consisting of one free race entry to be redeemed in 2016. The John Miles Young Driver Award will be presented to Stuart at the Club’s annual Awards and Dinner Dance on January 23rd 2016.